Our client has a beautiful home in Lincoln Park. She loves Hollywood Regency design and it was very clear from the start that she has exquisite taste. Our client needed help placing several art works throughout her home. 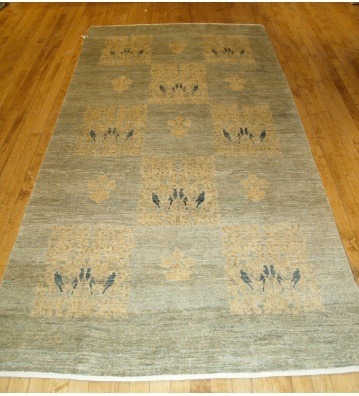 She also needed a rug for her Piano Room, kitchen bar stools, kitchen chairs and lighting in first floor hallway. 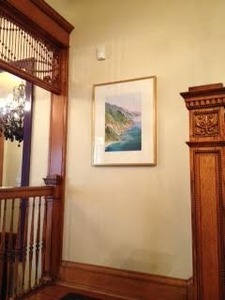 In the first Phase of the project we placed the clients artwork throughout the home. We communicated design by showing drawings of all her pieces to scale. 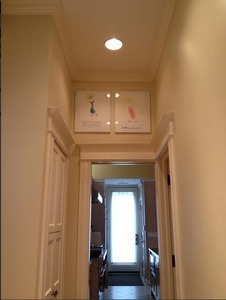 In the gallery we show a hint of whimsy and uniqueness by placing her daughter's artwork high above the door in the butler's pantry. In the first floor hall we added stunning wood and iron chandeliers from Arteriors to create an artful presence near her contemporary art. It was especially interesting to pair since they were chalky and white near the client's glossy black Hollywood Chandelier. In the Kitchen we paired tractor stools with some fantastic Italian Mid Century Kitchen Chairs that we reupholstered with shimmery white crocodile vinyl.The Mid Century chairs we found were from a unique consignment vendor we love. 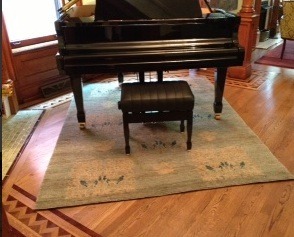 In the Piano Room we placed a beautiful silk and wool Pakistani Rug from Oscar Isberian Rugs. 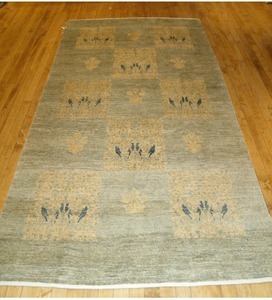 The detail on the rug has beautiful birds and was custom cut for the shape of the room.